One of the most highly anticipated signs of spring in North America is the appearance of the osprey, also known as fish hawk. The Chesapeake Bay has the most concentrated population of osprey in the world. 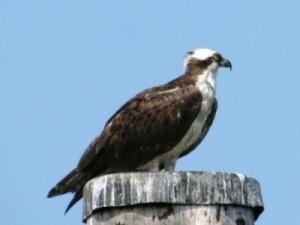 Osprey feed mainly on menhaden during their seasonal visits to the Chesapeake Bay. These iconic birds are also seen in places as far away as Siberia, the Red Sea, and Canada.